Utah has severe and harsh winter-no one can dispute this fact. Therefore, you may need help with the various issues that may arise during the winter months such as snow removal, snow plowing, storage facility or ice management. If you have a tight schedule and have so many things to attend to or perhaps you have a phobia of the stress and the idea associated with dealing with snow- snow removal can be laborious and arduous, we are more than happy to have our dedicated and qualified on-site personnel to oversee and assist you in the various residential and commercial snow needs such as snow plowing, snow removal, and ice management. If you own a commercial premise in an area that receives moderate to heavy amount of winter snowfall such as Utah, then hiring our on-site personnel to handle all your commercial snow removal is something that you definitely would want to consider. While many people think that hiring an onsite personnel is rather expensive, the cost of snow services is quickly outweighed by numerous and crucial benefits that an onsite personnel offers. Provo Snow Removal is a highly dynamic and flexible service provider, particularly when it comes to the provision of consumer services. Here, we have an array of dedicated onsite personnel who are highly skilled and can of help with your snow removal needs. While your typical snow removal company has to rely on hired or even contracted staff member, we have our dedicated onsite personnel who are available 24/7 and can be called into action whenever you need them. 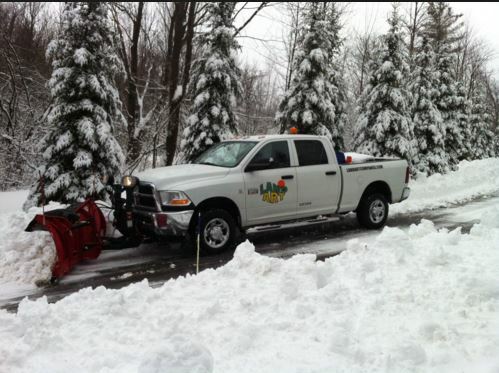 In fact, what has set us apart from the rest of the snow removal companies is our excellent management system that our dedicated onsite personnel offer. And since our we do not outsource our labor, we actively engage our staff in development programs such as additional training, seminars and equipping them with other auxiliary skills aside from the snow removal techniques. While the thought of winter might scare you, our site staffing are prepped to deal with such issues, since winter is our core business. We have the necessary tools, skills, and experience to handle and manage your various snow needs during the winter season. Before we commence on any task, we first draft plan on how to undertake your task. In our endeavors planning is the key- since we handle are tasked with the different project, we always customize our approach towards every project to ensure that we address your specific needs and meet your expectations.Whether you're running a coffee shop, a garage, or an eatery, we understand that you certainly have enough on your plate, and you do not need to worry about snow removal or plowing on top of it all. You can trust Provo Snow Removal dedicated onsite personnel to handle the task; it's our only job, and we will do it without you having to sacrifice your time or energy.